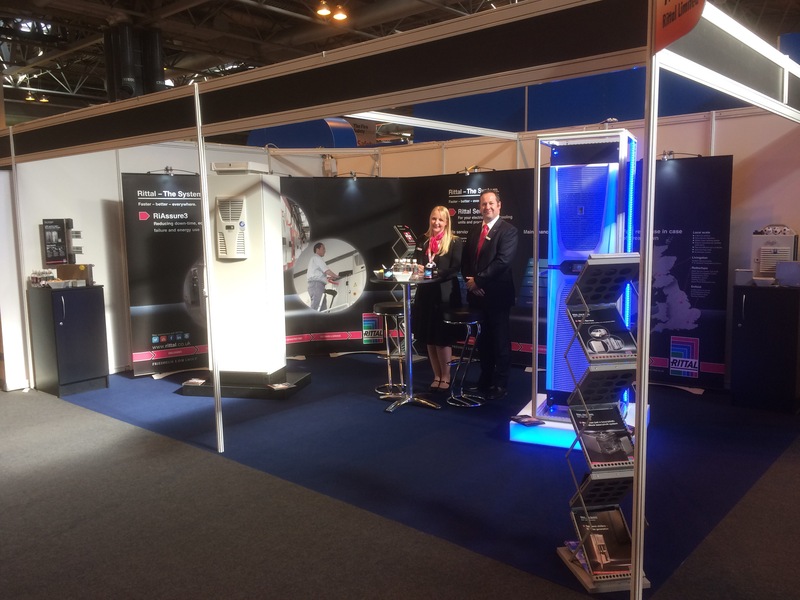 Rittal are on show at this years Maintec. Our team are here to take you through our enclosures and climate control solutions and to discuss how RiAsure3 can help you reduce down time, equipment failure and energy use. If you’re at the NEC in Birmingham call to see the team in stnd M169. 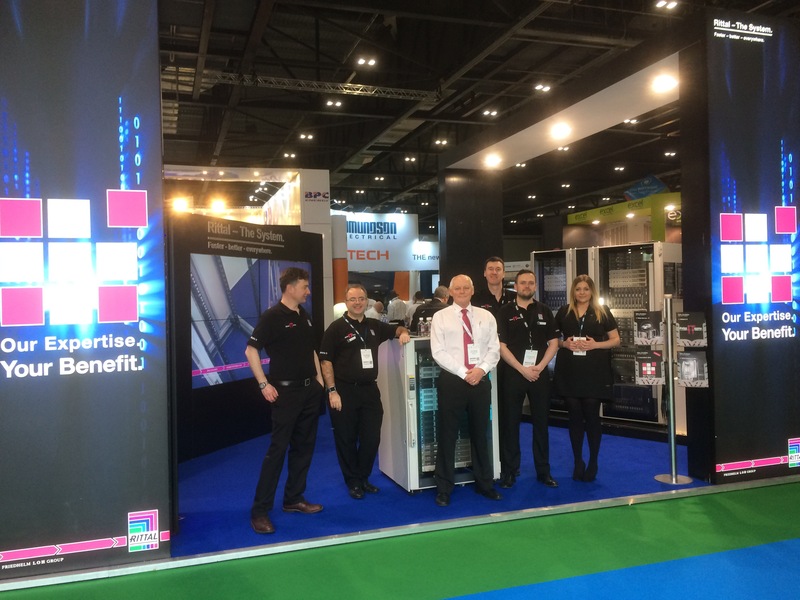 The team are ready for day two of this years Data Centre World at the ExCel in Londons Docklands. If you’re at the show call to see us on stand J10 to find out the latest developments in our Data Centre solutions and see our expertise can be your benefit. In a world where innovation continues to speed up, maintaining corporate flexibility, increasing agility and reducing operational costs are all critical to business success. They are just some of the key themes that Rittal will be tackling at Data Centre World 2017, on Stand J10. As the demand for a smarter approach increases, modular resources have come into their own, which is one reason why they are becoming the go-to solution for IT professionals. What’s more they are ideally suited to a range of industry sectors from financial institutions to manufacturing companies, as well as the oil/gas sectors and the military. RiMatrix S provides an intelligent modular infrastructure from a single source. The enclosure technology, power distribution, system climate control and electronics, right through to the IT technology are pivotal to this concept. It offers an integrated solution for IT infrastructures and a future-enabled and comprehensive solution for building up state-of-the art data centres. Based on the TS 8 enclosure and IT rack system platform, the RiMatrix S provides flexibility, quick and simple assembly, minimal warehousing and fast availability to IT teams. The RiMatrix S can be deployed within weeks of receiving an order and in any environment, ensuring IT professionals are able to respond quickly to any demands placed upon them. All this is backed by Rittal’s high-quality engineering, expert servicing and support. “Its flexibility and the offer of substantial capex savings are very important benefits for IT data centres,” says Clive Partridge, Rittal Technical Manager, IT Infrastructure. Modular solutions offer both permanent as well as temporary data centres and can be supplied within shipping containers or steel rooms that are pre-manufactured at the supplier site. They can be deployed or assembled on a customer site for external use, or supplied as building-block style designs for use within data centre buildings, effectively replacing tradition-al raised floor and purpose-built facilities. Rittal will be exhibiting on Stand J10 at Data Centre World, 15-16 March 2017, at the Excel, London.